Have you taken the Holiday House Walk? 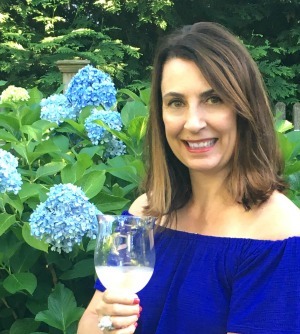 Jen Rizzo gathered 33 creative gals (including me!) and we open up our homes for a little yuletide cheer. 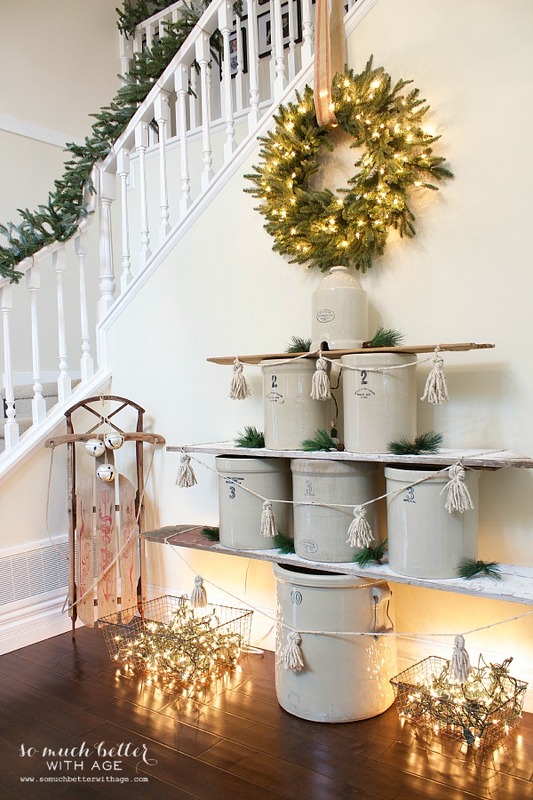 I have a huge old crock and this vintage crock Christmas tree from So Much Better with Age makes me want to find more so I can make my own next year! 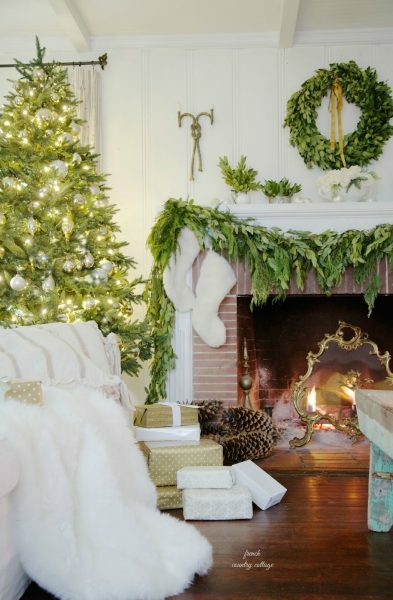 This stunning Christmas mantel from French Country Cottage – no words! 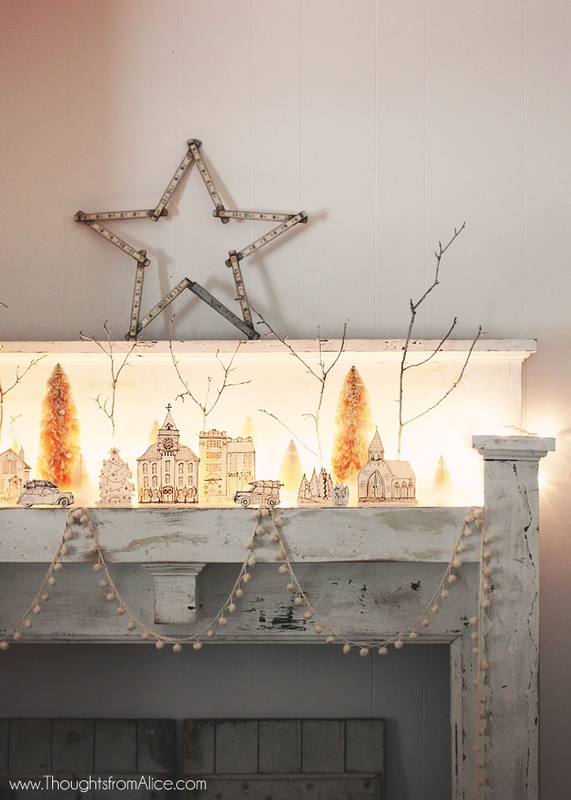 and this Christmas mantel – need I say more? From Liz Marie Blog. 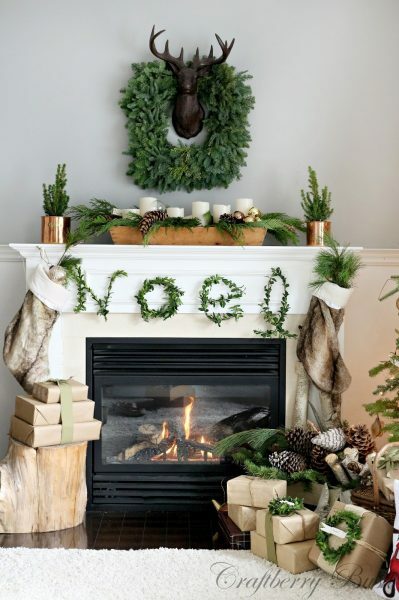 and of course this mantel with the boxwood noel from Craftberry Bush whose Christmas buggy pillow is making the rounds around everyone’s houses! When I saw this whimsical free Christmas village printable from Thoughts From Alice, I immediately printed it out and used it in my own house! 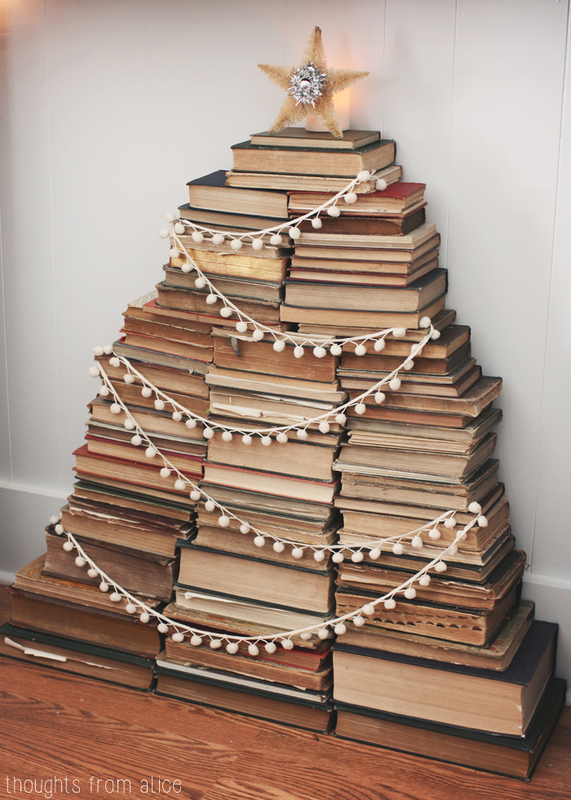 Another fave from Thoughts From Alice is this adorable book tree. 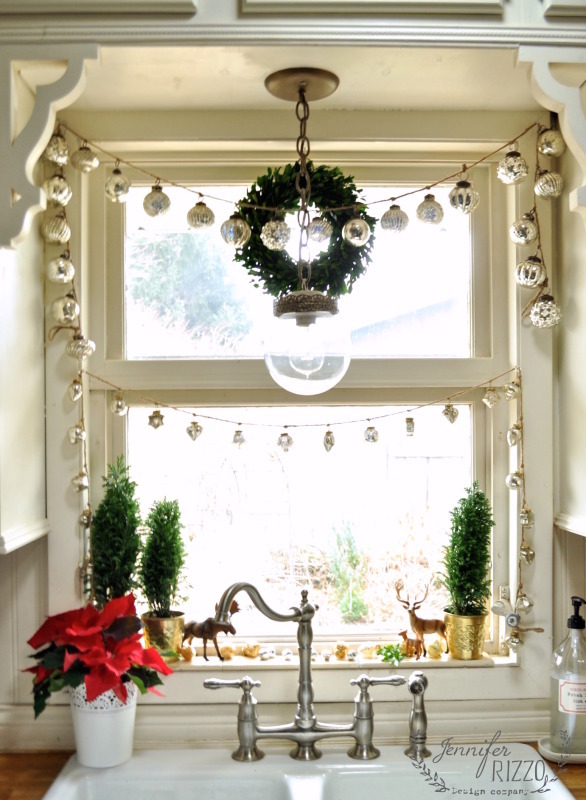 You know I love bling so this mercury glass garland dressing up Jennifer Rizzo’s Christmas kitchen is right up my alley. From the festive popcorn strewn tree to the Santa hat tree topper to the sign over the mantel, Lilypad Cottage made Santa’s nice list. 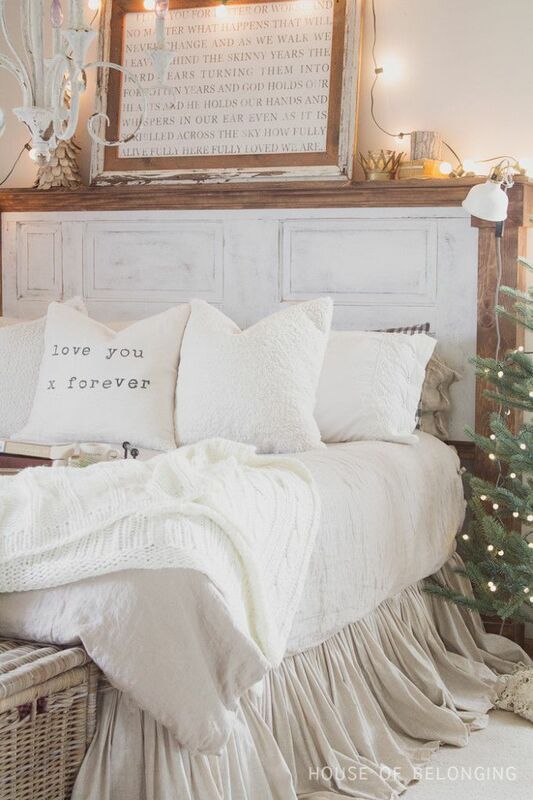 World’s coziest Christmas bedroom award goes to The House of Belonging. 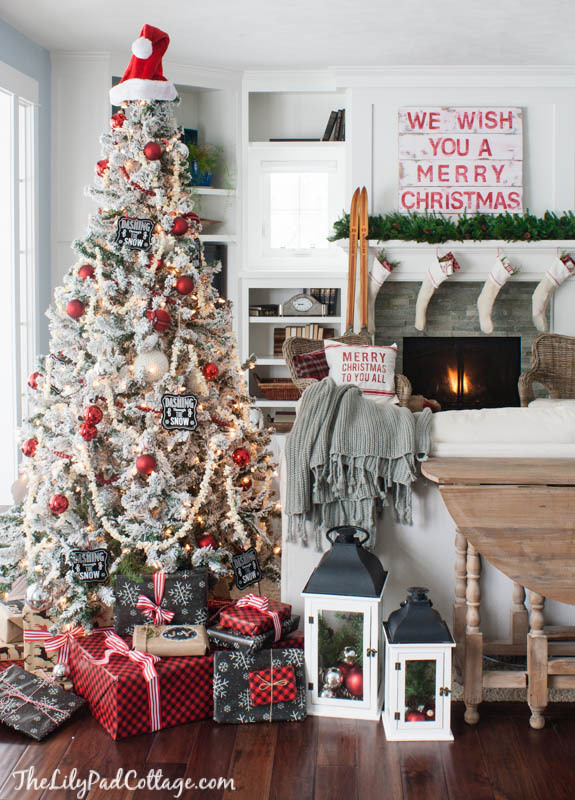 Love this festive entryway from Ella Claire and you’ve got to see her stunning flocked tree. 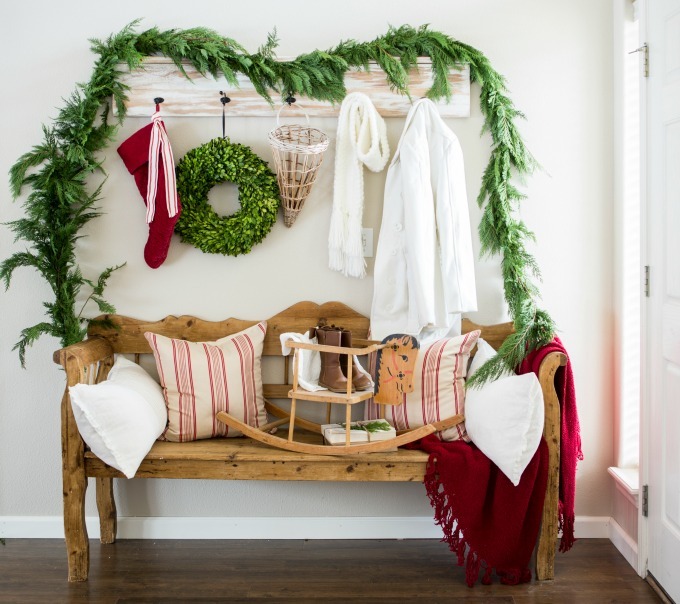 The Golden Sycamore had me at hanging some old barn wood on the wall and topping it with a wreath. 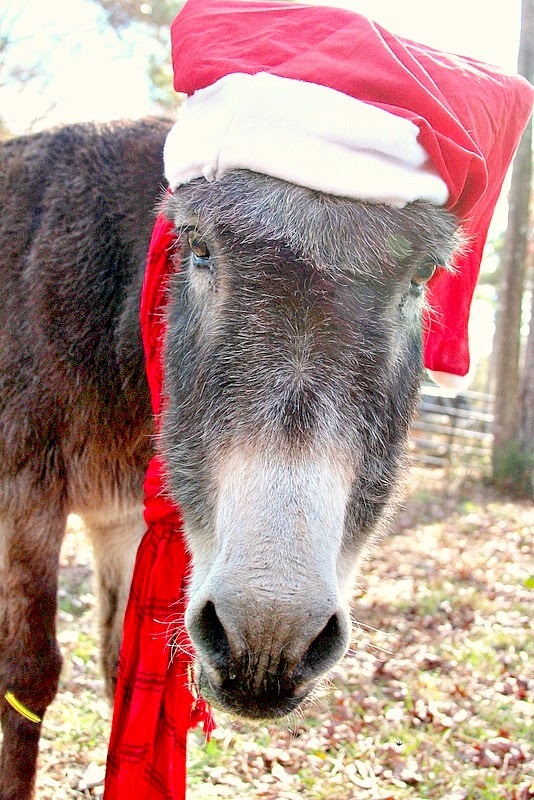 Oreo the Christmas donkey who belongs to Laura at Top This Top That is definitely giving my Sushi a run for her money in the cuteness department! Make sure to tour Laura’s festive country home. 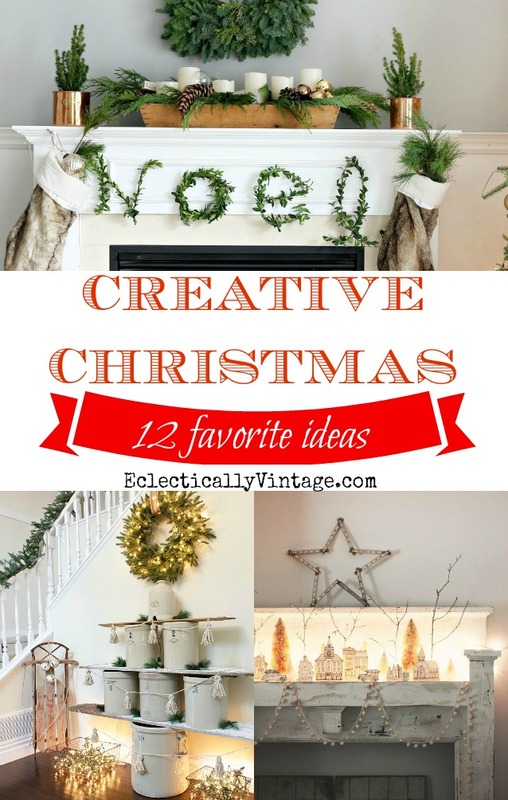 Take a walk down memory lane with me and see how I’ve decorated my house the past four Christmases! « Previous: Bloody Mary Recipe with a Kick and a Giveaway! The 2013 and 2012 links are the same as 2014. Just thought I’d let you know. I love that you chose such a great variety, Kelly — both in style AND in spaces decorated! Happy weekend! LOVE those stockings from Liz Marie !!!!!!!! 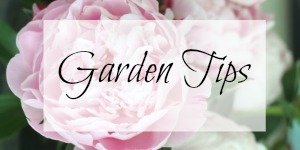 Hi Kelly, I am so glad to have discovered your blog! It’s a treat every time!!! I loved the Christmas tour! I was wondering about the burlap Christmas tree sign over your fireplace. DId you make that or can that be purchased somewhere? I love it! 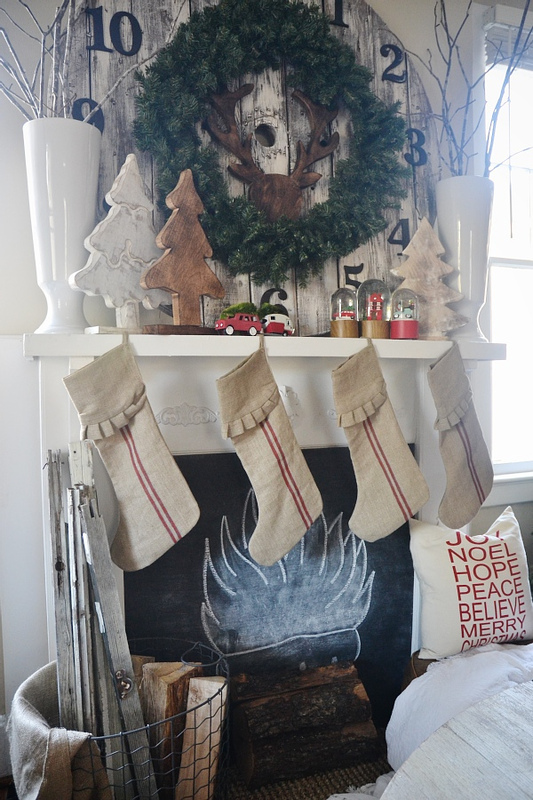 Love the wooden stockings, too! I saw them last year and meant to get my husband to make me some, but we’ve have too many other projects to keep him busy. I should try to be a “big girl” and work the saw myself!!! Hi Lori! Thanks so much – sources are at the bottom of the post if you need any more. The burlap tree mat is from H&M. Thanks Kelly that was wonderful. Have a good week. Ummmm, you are amazing! I’m honoured you put in this collaboration, girl. Thank you SO MUCH! What a treat! Thank you so much for including my little village and book tree among all of this stunning inspiration! You made my day friend!